Print, laminate, then cut up to be able to play addition matching games. 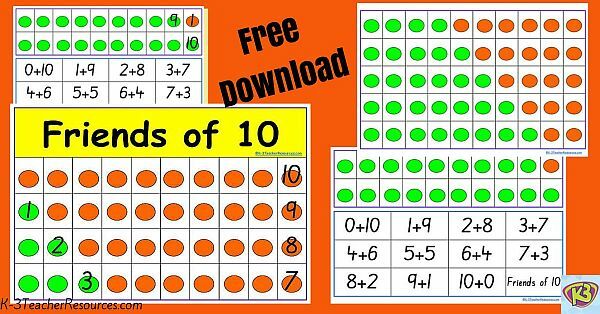 Cut up the lines of dot equations and the number sentences – children match the number sentences to the correct equation dot line. Cut the equation lines up further into the 2 separate colours – children put the equation dot lines back together to complete the 10. Further reinforce by asking children to place counters/concrete objects on top of the dots as they count / add to ten.